After a quick tease last year, the expansion of legalized gambling in Pennsylvania is getting a major push as a revenue source for the state budget this spring. Why are we here? Several reasons. 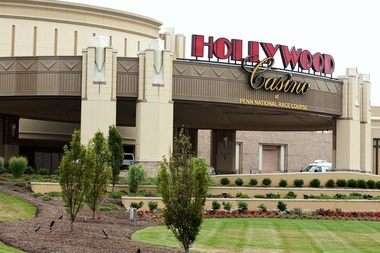 Pennsylvania’s casino operators are anxious to corner new markets in the face of ever-expanding competition in other Mid-Atlantic states. Bar owners and social club operators are still seeking a piece of the legal gambling pie. And lawmakers in both parties badly want to balance this 2016-17 budget in the face of a $1 billion-plus hole without an increase in the state income tax. “Many of us are open to some level of expanded gambling as long as we know that it will be done in a responsible way,” House Speaker Mike Turzai, R-Allegheny County, said in a phone interview Thursday. There are some scattered signs of hesitation, to be sure. Some conservative Republicans say they would rather rein in state spending then expand gaming, and some city Democrats have voiced concerns about adding to a voluntary tax that can weigh disproportionately on the poor. But with most of the old social taboos over gambling apparently having been shattered by the success of the casinos over the past decade, as well as the surging popularity of new games like Internet poker and fantasy sports, this debate is most assuredly on. The bigger question heading into the fiscal home stretch appears to be, can the stakeholders – in this case the casino operators, the racehorse industry, and liquor licensees seeking video gaming terminals – avoid forming a circular firing squad that kills any deal. 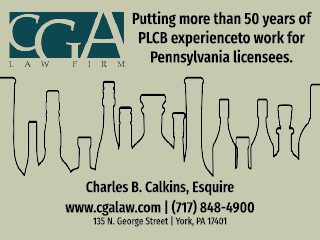 The main event pits the established Pennsylvania casinos, most of whom are seeking licenses to roll out Internet-based gambling games and other business enhancers, versus bar and tavern owners seeking up to five video gaming terminals, known as VGTs to those in this debate, apiece. Eleven of the state’s 12 casino operators, as of Friday, were bringing what looked like a scorched earth policy to this expansion debate, contending that if i-gaming is paired with VGTs in bars, they’d prefer no expansion at all. Speaking for the rest of the casinos, however, lobbyist Steve Crawford said the VGT proposal has the potential to add the equivalent of 12 new casinos’ worth of slot machines into Pennsylvania, one taproom at a time. That, the companies say, will cannibalize their player audience, and slowly erode the funding streams they provide for school property tax cuts, horse-race purses and economic development around the state. “I understand the political desire to raise revenues without raising taxes, but at what cost?” asked Crawford, whose S.R. 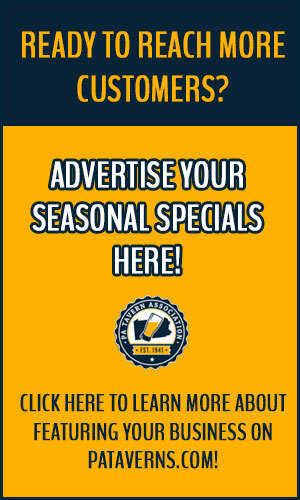 Wojdak & Associates firm represents casinos in Philadelphia, Pittsburgh and the Poconos. The casinos point to a report outlining recent experience in Illinois, where commercial riverboat casinos were first to the market, and VGTs were introduced in bars and taverns later. As the bars and taverns’ machines came on board in 2013-14, the state’s overall gaming tax revenues jumped 7.5 percent. But Illinois casino admissions fell off 10 percent, and their gross receipts trailed by 6.7 percent. Either way you slice it, the gambling expansion being considered in the House would take the legalized gambling market penetration in Pennsylvania to unprecedented levels. It’s not just that the proposed Internet gambling would move us from 12 destinations scattered around the state to a place where literally every computer becomes a betting position. Racetrack casinos to operate slots at up to four off-track betting parlors that each must be at least 50 miles from a track. Video Gaming Terminals (VGTs) not just at bars and restaurants, but truck stops. (This VGT language was inserted by amendment on a 96-93 vote last December,in a floor debate in the midst of the 2015-16 budget impasse. Installation of slot machines and new i-gaming tablets at Pennsylvania’s six international airports. These mini-casinos would be located in areas where ticketed passengers can while away between-flight layovers. The state’s two existing resort casinos would be able to open their doors fully to the public, as opposed to guests there for other reasons, and by paying $3.5 million in one-time fees they would be allowed to grow their slots parlors from 600 to 850, and grow table games like blackjack or poker from 50 to 65. Is this all-in approach wise? Studies from other countries with more mature gambling markets have shown increases in problem gambling can surge as new types of gaming are introduced, and they then settle back down over time as the novelty wears off. But gambling industry observers say in 21st-Century America – where one recent study identified 27 legal ways to place a bet – stopping gambling’s spread now is like trying to put toothpaste back in the tube. Where legal gambling has expanded and contracted several times in America in the past, no one’s really expecting a retraction this time. 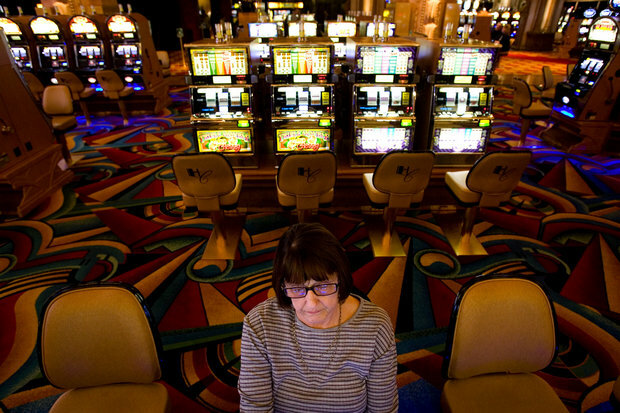 “The difference is, this is the first time that the state governments have been using it [gaming taxes] as life support,” said Lia Nower, director of the Center for Gambling Studies at Rutgers University. The better approach, addiction specialists reached for this story said, is to try to balance the expansion with safeguards that can help to protect the most vulnerable, like a new system in Massachusetts that lets slots players set personal alarms alerting them when they are approaching time-of-play or loss limits. Internet gaming proponents say, as pervasive as the games seem, they can actually be very tightly regulated through state-of-the-art age verification procedures and “geo-fencing” that requires bets to be placed from Pennsylvania. That’s proven tougher when it comes to games in bars and clubs, gaming indutstry observers say, where regulation is sometimes be as tight as the bartender on duty. Video surveillance of the machines going back to the game operators. 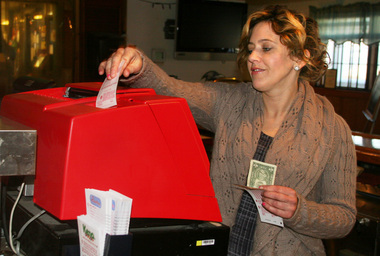 Cash play only, with winnings registered on credit slips that are redeeemd at separate cash machines. Games must be in the line of sight of a bartender or manager who can watch for underage or visibly intoxicated players. VGT supporters also argue that the game they offer is going to be far more policed and regulated than the illegal machines that are out there now. No fiscal note exists, but gaming expansion proponents see several hundred million dollars on the table if and when these proposals are fully ramped-up. Under Payne’s proposal, the existing casinos would have the ability to run internet-based games, with payment of a one-time $8 million internet gaming fee. Operators would run games like poker and other casino-style games through the licensee’s Web sites. If 10 casinos opted in, that’s at least $80 million in licensing fees. This new revenue would be taxed at 14 percent, a significantly lower share than the 54 percent tax share currently paid by the physical casinos opened over the last decade. An independent 2014 study by the Philadelphia-based consulting firm Econsult Solutions suggested that if Pennsylvania opened this market – as New Jersey, Delaware and Nevada already have – it could generate $180 million in business in the first full year. By year two, the market could grow to $307 million in bets. Based on the proposed tax rate in Payne’s bill, that would raise between $40 and $50 million per year. VGT’s on the other hand, while seen as more problematic by addiction therapists, have the potential to bring much more revenue. The Illinois report noted that a 30 percent tax on VGT revenue there netted $145.6 million in tax dollars in the year ending in 2014. At the program’s full build-out, the commission’s report said, it could approach $200 million. That’s based on about 20,000 machines. Hard projections for Pennsylvania were not available for this story. But Pennsylvania proponents see a market for at least 26,500 machines. Coupled with a slightly higher tax rate, they maintain that VGTs could be worth more than $300 million annually here. Mustio said Friday supporters are still trying to reconfigure the revenue split between bar owners, game operators and the state to give the state a higher share, and, possibly, create a small slice for host municipalities. For comparison purposes, a one-tenth of a percentage point increase in the state’s 3.07 percent income tax is worth about $400 million to the state.